This is a creative visual to help students understand the importance of constructing the essay. 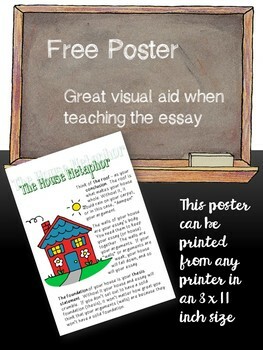 By comparing the essay to a house, students are able to understand the importance of the thesis statement as the foundation of the essay, the arguments as the supporting walls, and the conclusion as the roof. ← THREE $100 GIVEAWAYS of TpT Gift Certificates!